The tea ceremony persists as one of the most evocative symbols of Japan. Originally a pastime of elite warriors in premodern society, it was later recast as an emblem of the modern Japanese state, only to be transformed again into its current incarnation, largely the hobby of middle-class housewives. How does the cultural practice of a few come to represent a nation as a whole? Although few non-Japanese scholars have peered behind the walls of a tea room, sociologist Kristin Surak came to know the inner workings of the tea world over the course of ten years of tea training. 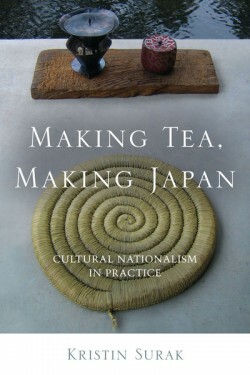 Here she offers the first comprehensive analysis of the practice that includes new material on its historical changes, a detailed excavation of its institutional organization, and a careful examination of what she terms ‘nation-work- – the labor that connects the national meanings of a cultural practice and the actual experience and enactment of it. She concludes by placing tea ceremony in comparative perspective, drawing on other expressions of nation-work, such as gymnastics and music, in Europe and Asia. Kristin Surak is Assistant Professor of Comparative Sociology, University of Duisburg-Essen and former Robert and Lisa Sainsbury Fellow (2009-10).